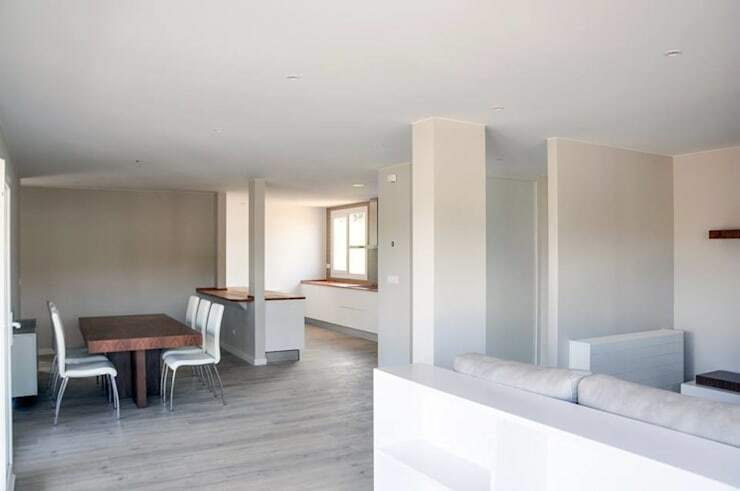 Today we are going to visit A Coruna, where design professionals Casas Cube have used innovation, minimalism and modern style to create a gorgeous home—with just 150 square metres! This is an example of how simple can be the most effective! By opting for sleek and sophisticated, you can end up with the most beautiful home. 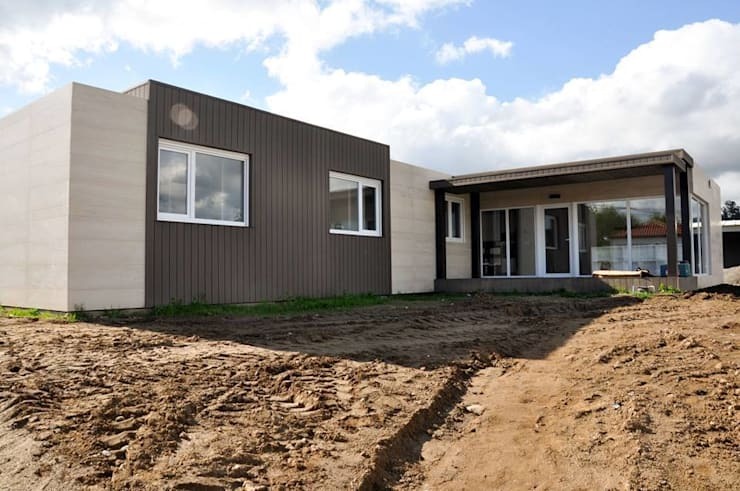 Are you ready to check out this fabulous little cube home and see how expansive and elegant this 150 square metre home is? From the outside, we can see just how gorgeous and minimalist the facade is. The designers have gone for grey and white as the dominant colours for the exterior, which are very neutral and elegant. We can see that the architectural design is very simple, taking up one-storey in an L-shape. While windows are interspersed throughout the facade, the interior is still very private from the exterior view. The designers have played with different textures and tones throughout, using different materials for the facade. Don't you love how these all contrast with one another, while tying the whole look and feel together? Have a look at these 10 stunning facades for inspiration for your own home! If we head inside the home, we come across a very sleek kitchen that is chic and functional. 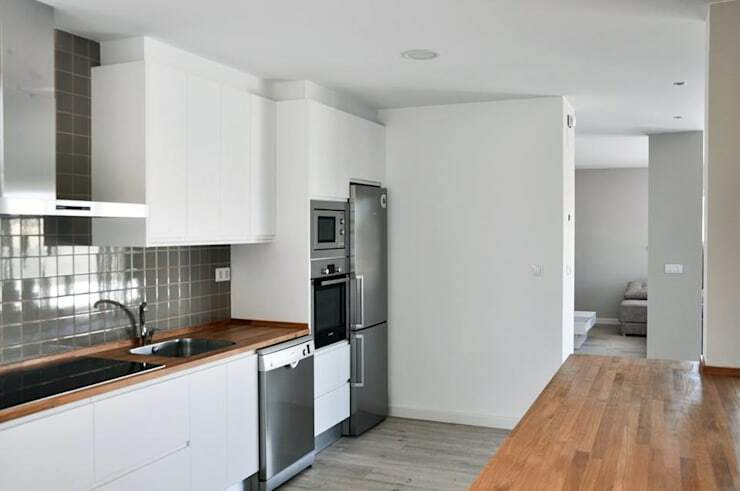 The kitchen features grey wooden floors, white cabinets and shelves, grey tiled walls and sleek silver appliances. 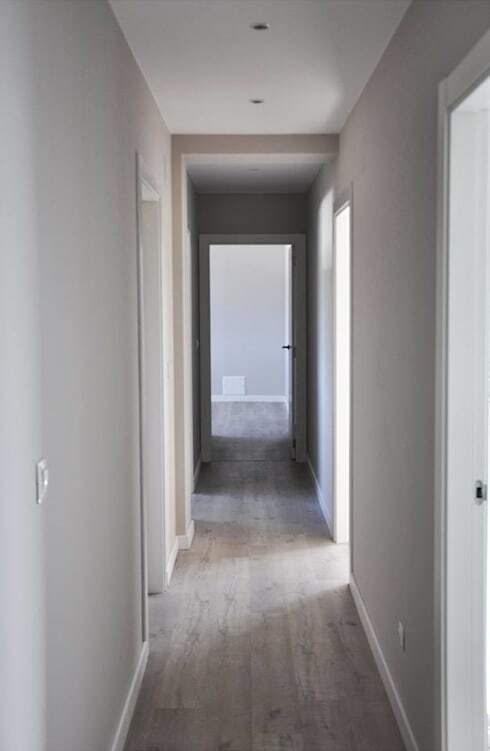 The grey floors work in harmony with the tiled walls, while all of the tones are reminiscent of the neutral tones that we saw throughout the exterior. You'll notice that the kitchen is very clean and organised. There is nothing except the most functional items on display here. Everything else has been packed neatly away in the cupboards and drawers. This is a great design tip, especially if you have limited space! If we look around the home a bit more carefully, we can see that the kitchen isn't the only place where the designers have deployed smart storage solutions. There are cupboards and cabinets throughout the home, allowing unnecessary items to be stored neatly away. 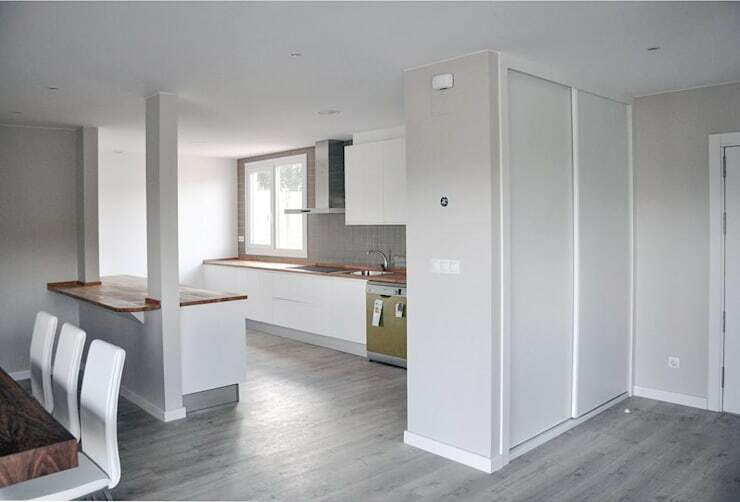 This creates a very minimalist house, opening up space and maximising every square metre. The designers have also gone for an open plan design, where the rooms flow into one another. We can see that the kitchen and dining room are very connected, creating an interactive and social space for the whole family. A little kitchen bar subtly separates the kitchen from the dining room however, keeping the cooking area slightly closed off. The kitchen bar is also a great feature! It allows for more causal dining experiences or cups of coffee while the chef is busy in the kitchen. Hallways are often just seen as functional spaces in the house that get you from Point A to Point B. This shouldn't be the case. In fact, a hallway forms an intricate part of the design. For starters, you should make sure that your hallways have plenty of light—both natural and artificial. You don't want them to seem dark and dingy. Go for light colours too, just as the designers have done here. Another way to add some personality and charm to the hallways is to put up family photographs or artwork, which will make this space slightly more interesting! In this image, we can see how the living room and kitchen flows into the living room. Do you see how the designers have created subtle divisions between the rooms without having to build proper walls? This opens up the home and makes it seem that much bigger. The furniture used throughout is also neutral, which means that it doesn't overwhelm this space. It also creates a very homely, warm and inviting environment. The natural light plays a huge role in this home! The large glass windows and doors allow natural light to flow through this home, making it naturally warmer as well as allowing it to feel spacious, lighter and brighter. If you like this home, you'll also love: The home that's seen the light.